When launching your own business idea, it's easy to get wrapped up in the hypothetical dream and glimpses of future success. However, protecting your OUTSTANDING piece of intellectual property is not as easy as we all want it to be. Actually, executing a great idea is every entrepreneur's biggest challenge. Let's break things down to bite-sized pieces, so tackling these potential challenges are more manageable, and much more fun! I'm not talking about a business plan (though our startup checklist can help to form this) . I’m talking about a viable brain dump. Write it all down: your idea, point of difference, what problem you are solving, if employees are necessary at initial stages and, realistically, how much money you have for this idea. This last point is especially important. By doing this, you'll begin to see potential problems as your idea evolves, and how you will shape your pitch. The pitch is important, because if you can’t sell your idea to other people, you don’t have a good idea. Our instincts tell us to protect our ideas like hidden treasure! In reality, it's hard to turn any good idea into gold without the help of a few friends. Some will praise every word your silver tongue speaks, but most of us have a handful of amigos that tell it like it is, and love to affectionately challenge our ideas. Pick those friends. The best scenario is a group of two or three. Because, two heads are better than one, right? Choose a place where you can hear clearly and can comfortably bounce ideas around. Then spill your guts! Ideally, this will unveil obstacles about your idea that will have undoubtedly been masked by your own enthusiasm. Workshop the idea and write everything down again. Yes, again! This will improve what you wrote down in Step 1. Your mind probably crept to the naming stage in Step 1, and it's something you should have pitched at Step 2. However, after you've workshopped your idea with your trusted comrades, you most likely have a better idea of your brilliance. So Step 3. is a great place to have a re-think. A business name should be relevant, catchy, and reflective of your industry. Shy away from anything that could possibly offend, but stay true to your personality. There are loads of great free name-generating websites that help with wording and ideas, like ​Panabee and ​Name Mesh. Write down the progression. Even better, record the process to hear how the idea progresses and to ensure you don't accidentally miss a piece of solid gold. We have found, time and time again, that new ideas emerge faster than any one person can think, or remember. Hit record on your phone and forget it's there. We are huge believers in collaboration at Ponderlust. The people you workshop your idea with need to know what you’re banging on about. Use their perspectives to get creative and break the mould. If you're really serious about jumping in, there are piles of things to work out. Please don’t just buy a URL and think that’s it. Dig a little deeper and be realistic about what you can do. Discover how much time you can dedicate to this idea, and to understand your skill sets. Also, you will absolutely need a startup business plan to get any funding. There are many online services that can assist you in punching out a business plan, for a fairly low price. These business plan templates will provide a base. Then you can apply your personal style if you're not up for writing the whole thing from scratch. The guide at the end of this post will help get you started. Think: 'how much is my time worth?' and 'what is the best use of my time?'. These are key questions to answer. Step ﻿5. Sell It In & Work! You need money? Get it. You want startup help? Ask for it. Go, go, go! Make lists and tick those boxes! Realistically there are a few things you are going to need, including a startup company website. Depending on how skill savvy you are, the chances are fairly high that you will need to outsource in order to have a logo designed and a website built—with email set up and branded, linked signatures. These simple, yet effective, tools will give your brand that sweet, polished look that will help to sell your concept! Think about SEO from the start and make sure the marketing company that helps has a good grip of this because it will impact your site structure and overall success in the long run. A solid business plan, an engaging marketing plan, coupled with a strategic social media marketing plan, is needed. However, digital marketing initiatives will only work if your potential customers have a website with goals set up. 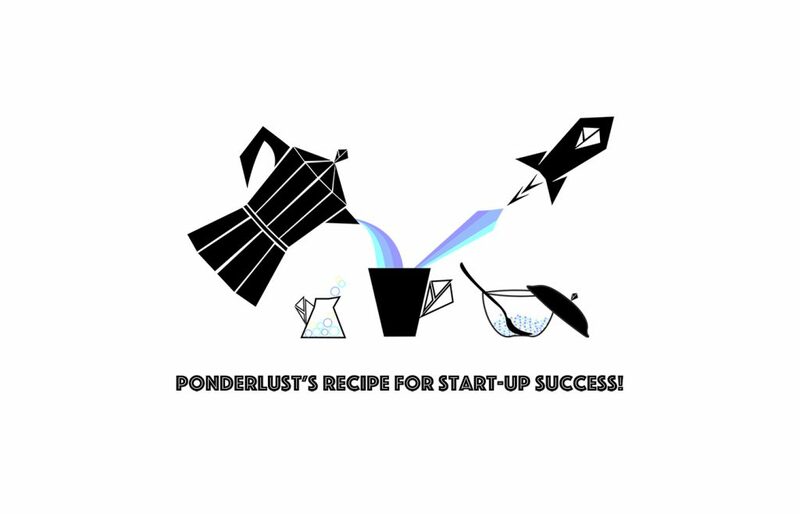 Ponderlust offers a variety of start—up and progressive packages—all tailored to your business needs. Please connect for further details!